A blog and The Life In Between : Desert Road trip: Joshua Tree. Desert Road trip: Joshua Tree. 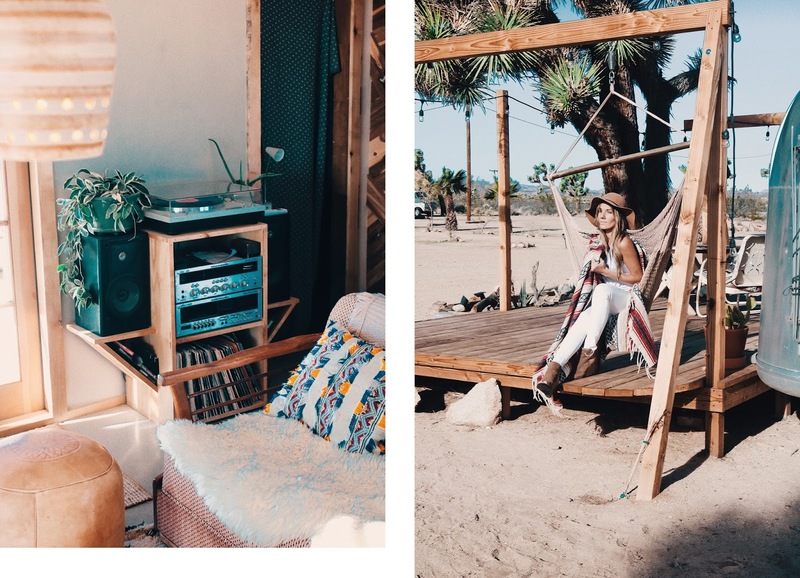 Girls road trip & a boujee way of camping in Joshua Tree. I feel like the blog has been quite overwhelming lately with all the travels from this month but I couldn't wait to share the recap of a quick road trip I just got back from! 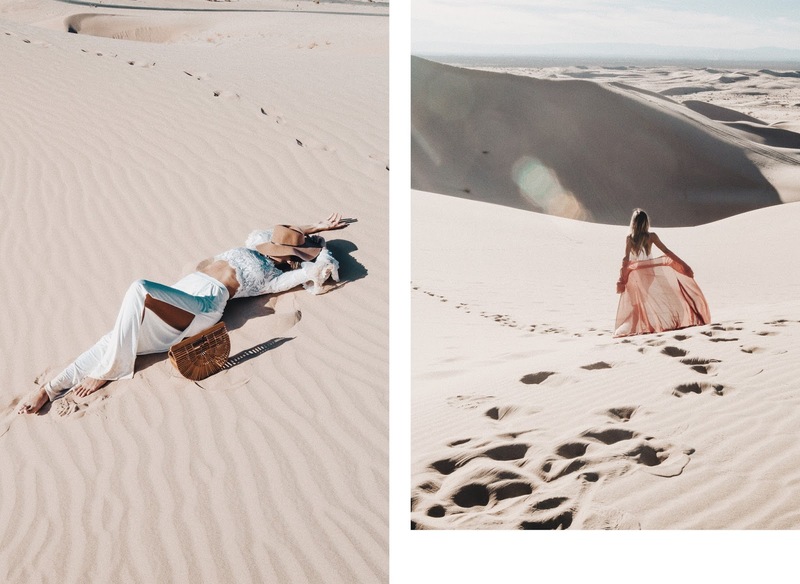 Earlier this week one of my friends shared this super unique location called "Imperial Sand Dunes" which I have never heard of before, we quickly decided to pack up our bags the next day and go on a road trip! The drive from LA is over four hours and driving for 8 hours total a day seemed no fun so we started looking into places to stop at on the way home, it didn't take us long to decide on the Joshua Tree as that has been on both of our bucket lists. ***I've also added all the snaps from the road trip on my Instagram account, it's called "DESERT" in my highlights as I truly think photos don't do justice of how beautiful everything was! If you love taking pictures and seeing cool places this must be added to your bucket list ASAP! The Dunes reminded me of being in the Emirates, being able to take pictures in the desert was also a win for me as I just finished posting all the pictures from our trip in Dubai and images including the Dunes blended right in on my Insta. Transport. I highly recommend taking a larger vehicle to the location as it gets quite windy on the road, there is also many smaller roads with holes in it as you're getting closer to the Dunes. Snacking. Make sure to grab snacks or eat before reaching the destination. We sort of figured there would be a snack shop or something there as it is a touristy area, however there was nothing around so make sure to grab something to eat before you get there! Timing. 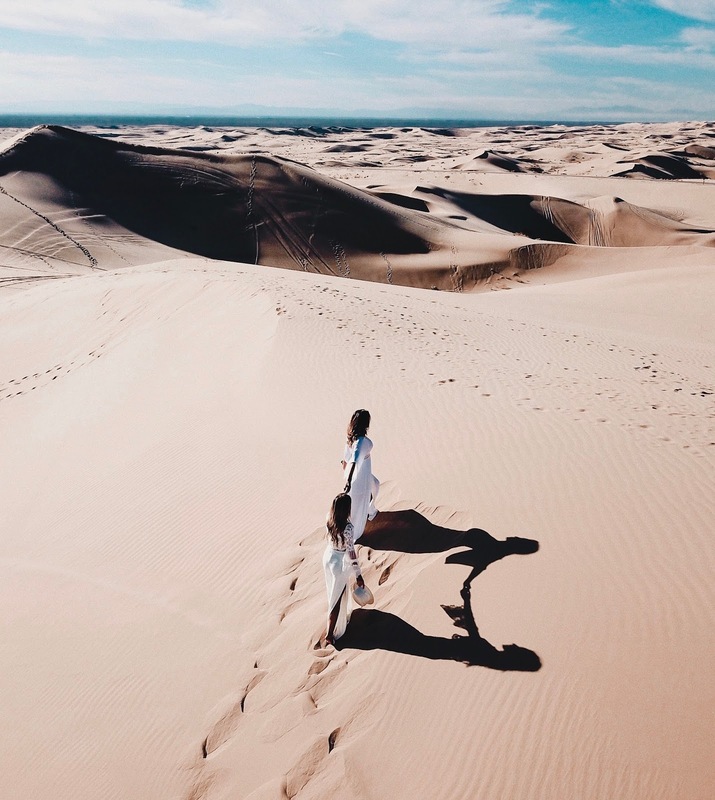 Originally we only planned on being in the Dunes for about an hour but once you get there time starts flying by as it takes quite some time to actually walk around the dunes, enjoy it and of course if you want to do any activities that will require additional time. We were there only to snap a few pictures and run around like kids in the sand, before we knew it was time to leave as the sunset was just around the corner. You could honestly spend two hours there without even noticing, so plan your trip accordingly depending on how much you want to do while out there. Activities. Even though we didn't have time to do any activities as we wanted to head over to Joshua Tree they do have hiking, jeep and buggy adventures. 1964 airstream during the sunrise. When thinking of Joshua tree I never thought of a city type of life, I've always had unique cacti, camping and endless desert attached to the name. Thankfully my friend's vision was the same which made it easy to decide on where we wanted to stay and what we wanted to experience. Location. 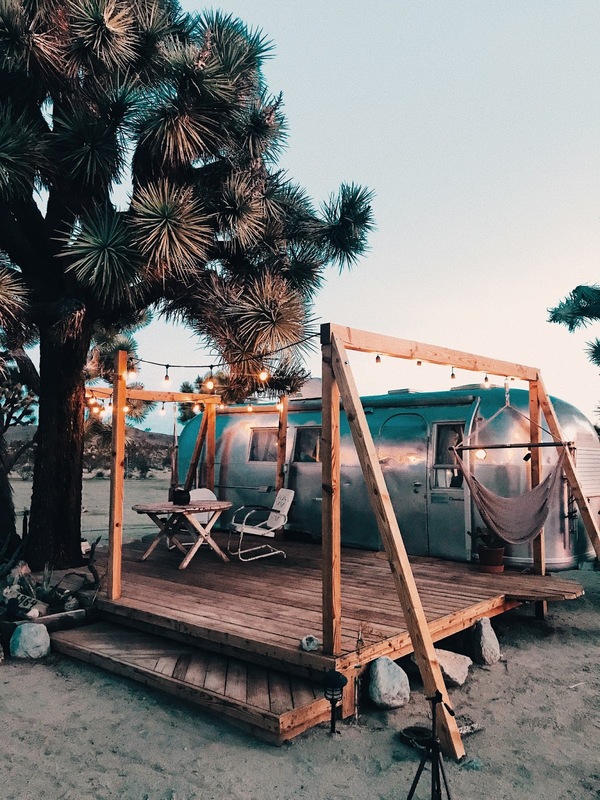 Joshua Tree Acres is sort of like a campground just a bit off the main road which has quite a few airstreams on the property that are available to rent on Airbnb. While the place is quite a bit of a drive from the main town it offers everything you may need such as a club house filled with books, music, full kitchen, bbq area etc. Pack. Because it was such a last minute trip we didn't get to fully plan it and brought nothing with us, for that reason I know exactly what to recommend that you must absolutely bring with you! 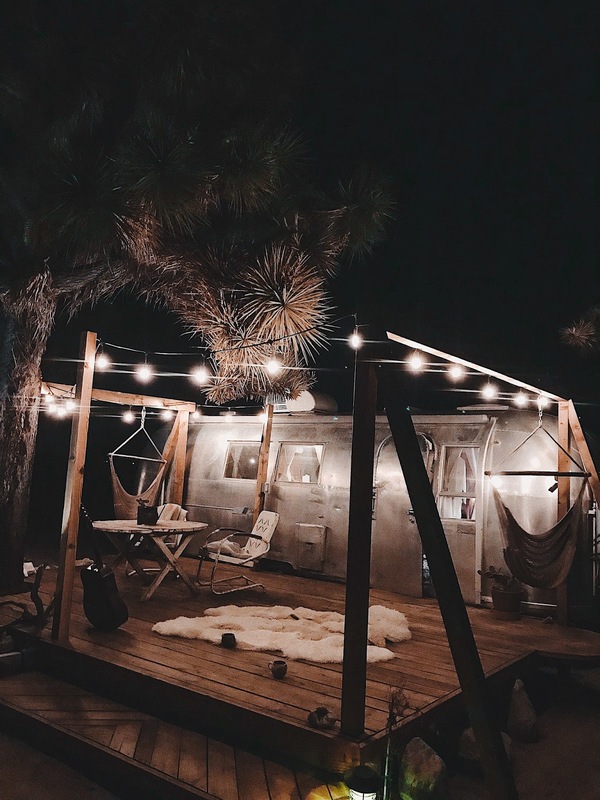 A few items that are an absolute must to bring to Joshua Tree Acres are a flashlight (it's pitch black at night and even though the string lights are on you'll be able to see better with flashlight), food (duhh!) each airstream has a small kitchen inside but the main kitchen area with outdoor seating is located at the clubhouse. If you love snacking throughout the day make sure to bring some snacks along as there is no mini bar and while you're at it shopping for your trip make sure to get lots of water so that you don't have to go back and forth to the town to shop and can fully enjoy your stay there! We made a big mistake and as I mentioned brought nothing along with us, we ended up leaving the property quite a few times to get food, coffee in the morning etc. which was simply a waste of time and I wish we brought all of it from home. The property offers two showers, indoor + outdoor. Stay. 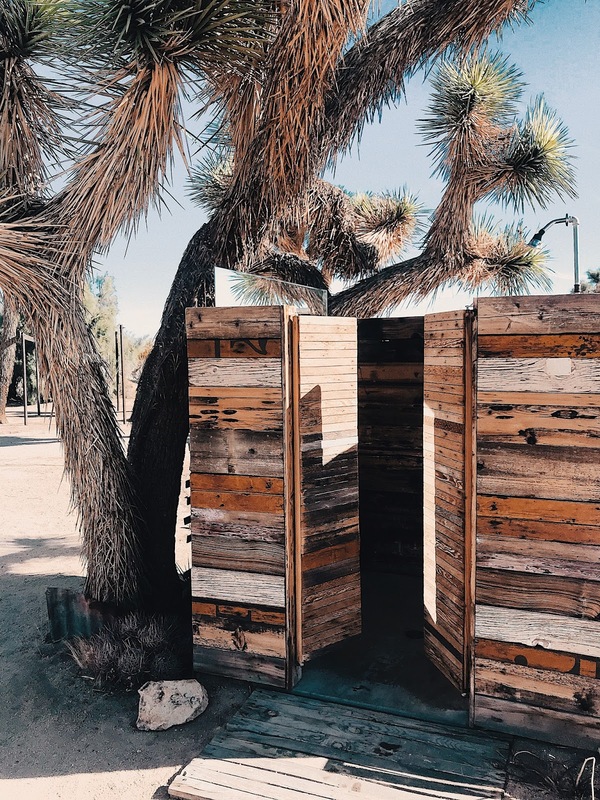 If you have not yet heard or seem photos of Joshua Tree Acres you're not following the right people on Instagram for traveling tips and locations! 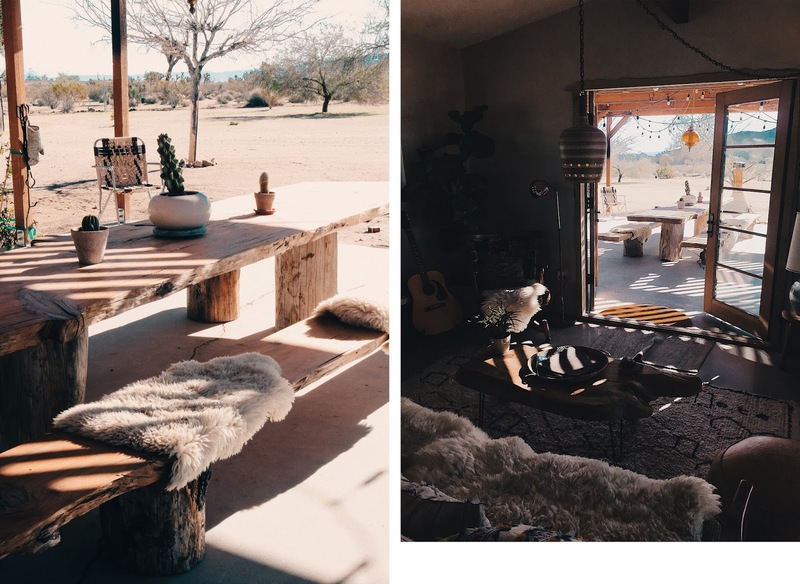 This is not your typical airbnb or a hotel and if you're looking for a unique stay at a really cool place and disconnect from the world and enjoy time out in the nature you'd absolutely love it! Amenities. This hidden gem is not meant for you to come and spend hours watching TV and browsing Internet for. What it is perfect is for a full relaxation such as spending time enjoying nature, relaxing on hammocks or jacuzzi and cooking. While I wish I was there with my husband as it is extremely romantic I am very happy I went with one of my friends as I already am planning another trip back! Indoor + outdoor area of the clubhouse located on the property. Location... Joshua Tree Acres is sort of like a campground just a bit off the main road which has quite a few airstreams on the property that are available to rent on Airbnb. While the place is quite a bit of a drive from the main town it offers everything you may need. You can check it out on HERE. A few miles away from the property (around 5-10mins) there is plenty of grocery stores and a few Restaurants, once you book your stay there they will inform you of everything around! Picture perfect stay. As you can see in the photos in this blog post the property is extremely photogenic so make sure to bring your camera and drone along with you! All the cute props including guitars, blankets, books etc. are located inside each airstream as well as in the clubhouse which makes it easy to pack as the place offers all the cute things you may want for your images! 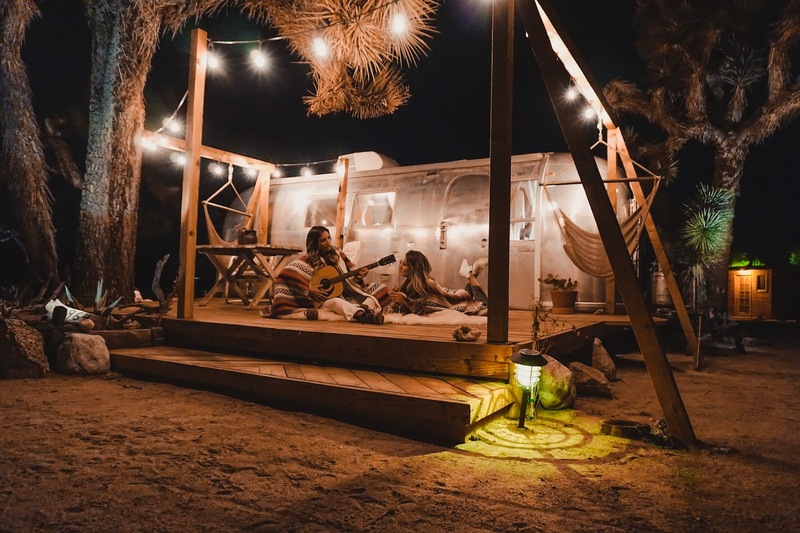 If you're only heading over to Joshua Tree Acres for one night make sure to stay up late at night to watch the sunset, take some pictures and wake up early in the morning just in time for sunrise as it's beyond beautiful! Thank you Joshua Tree Acres for partnering with me on this post.